Underground leaks are threatening all 23 projects using geothermal heat to keep Dutch homes warm, the mining inspectorate Sodm has told Trouw. Salt water deep underground is corroding the metal pipes which are used to pump up warm water from depths of at least one kilometre below the earth’s surface, the agency says. This is allowing dirty and slightly radioactive substances in the earth’s crust to leach into the upper areas. Three projects have now been halted for repairs and other drilling companies are trying to prevent the leakages with ‘anti-leak chemicals’, Trouw said. ‘This is not a sustainable solution,’ director Theodor Kockelkoren told the paper. The agency has now said it will come up with tough new rules for drilling companies to remove risks to the environment. ‘It is crucial that this process takes place safely,’ the agency said. Geothermal heat is seen as one of the mainstays of the government’s plans to cut natural gas usage in the Netherlands – it envisages hundreds of pumps supplying homes, greenhouses and factories with clean heat by 2030. 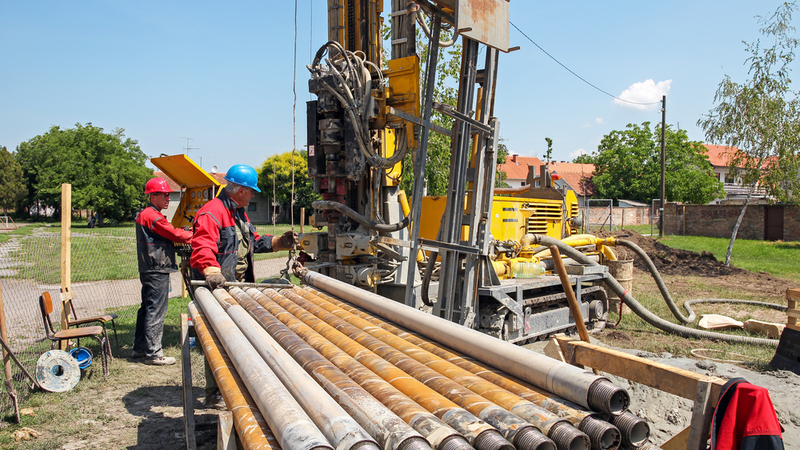 The location of the drilling is also crucial and needs to be studied carefully to remove the risk of earthquakes, Sodm says.